We have full range of manufacturing technology advantages that are based on the fully automated production and quality control testing, with millions production reached monthly, also with strict pore size control, high purity, high porosity. And hence, we are specifically suitable to offer our products directly to medium to large scale analysis labs to share our massively high quality - cost down manufacturing. 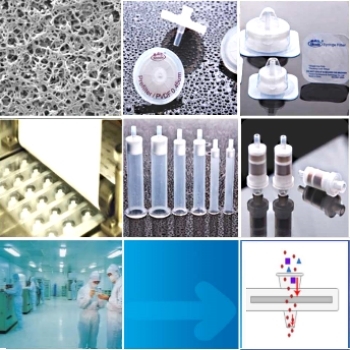 We (Xiboshi_ABDC) are a global technology and sales partners, providing professional development and high-volume manufacturing of Syringe Filter, Membrane filter and SPE(solid phase extraction tube), with top high-quality and very high C/P value, that can save 1/2-2/3 cost. The Xiboshi(Tianjin Fuji Science and Technology Co., Ltd), as the Asia's most-scale Syringe Filter production plant, with more than one-third of the market supply ratio, that is mainly used in analytical determination laboratories for high-end quality requirements. Xiboshi is also the foundries for the global well-known leading brands, providing their mass production supports . medicinal chemistry, Chinese herbal medicine, environmental science, water treatment, food, dairy, alcohol, beverages, aminoAcid, dye recovering, petrochemical etc, and achieve data gathering and explorations in the experimental R&D and large-scale production for users. In the analytical QC & RD laboratories, Syringe filter, it is the most frequently and routinely used for removing particles from a sample prior to analysis by HPLC/GC/IC/GPC connected with/without MASS/MS-MS detectors, to prevent the columns and instrument for congestion, damage, pollution and accelerated aging. Syringe filter also suitable for many general purpose filtrations with smaller sample volumes, to maximize the recovery of sample, that is too low if filter papers is used. It is also routinely used for filtration of gases, and removal of bacteria for sample. New packaging is more convenient to use. Individual packaging with Aluminum membrane is available for sterilization with radiation method, and the individual packaging with dialysis paper is available for sterilization with radiation method. The users can handle their own as needed, with safty and convenience. For SPE(solid phase extraction tube), the independent research of sieve and filling technology matures, making our products have very good performances for the sample preparation in HPLC(High-pressure liquid chromatography), IC (Ion Chromatography)and other aspects. 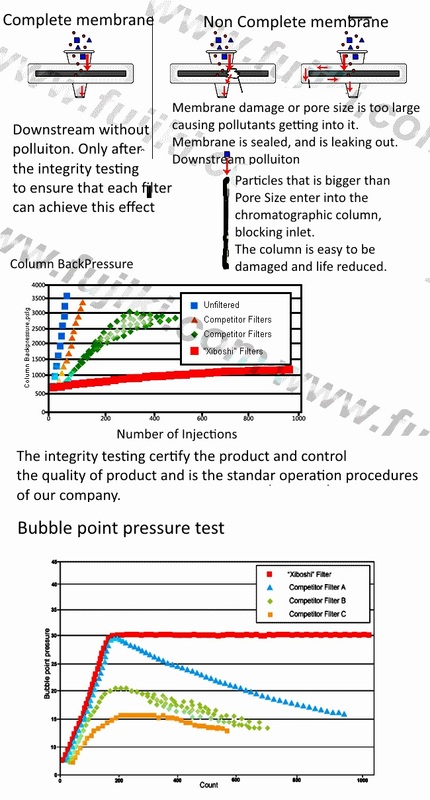 Xiboshi SPE Column (including the morphine column), with unique sample separation, concentration, purification performances, we have access affirmation from the China Central Lab of Drugs & Narcotics of the Drug & Biological Products institution, and and have promoted applications for the quantitative determinations of morphine, codeine phosphate in compound Licorice Oral Liquid product series. The Xiboshi have this is effort and acquired further confirmation, after becoming the preferred OEM manufacturers of Europe and US main brands. 3. New automation line projects under construction, including Cuvette /Centrifugal Filter/Vacum Filter, etc. This table is compiled according to the chemical compatibility list from opened publications, and the data is for analytical references only. R : Resisitant-Tolerant of the chemical reagents. -- : Not tested .